Our family finished several good books in March. We’ll be wrapping up even more in April, as our homeschool co-op classes wind down for the summer break. 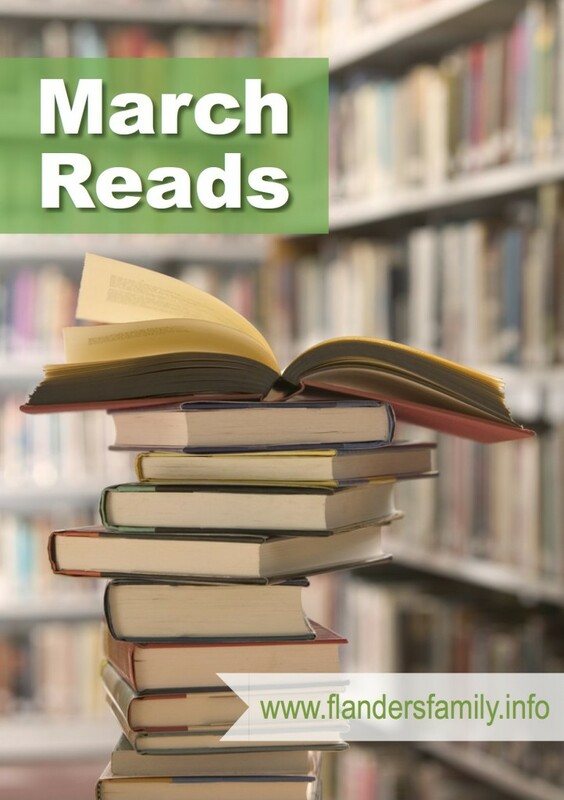 So stay tuned for more reading recommendations next month. The following titles and cover images are all linked to Amazon, so if you see a book that piques your curiosity, you can click through for more information. If you end up purchasing anything through these affiliate links, we will receive a small percentage of the sale, at no additional cost to you. These commissions help defray the cost of running this website and allow us to continue offering FREE access to our huge library of printable resources. So thank you in advance for your support! We discovered this book through Sonlight’s always-excellent summer reading recommendations. I’ve yet to read a book they suggest I didn’t love, and Belly Up is no exception. It tells the story of a hippo homicide at Fun Jungle, a brand new zoo in Texas hill country. Zoo officials claim the mascot died of natural consequences, but 12-year-old Teddy Fitzroy and his friend Summer McCraken suspect foul play. Their surreptitious investigation puts them in all sorts of danger. 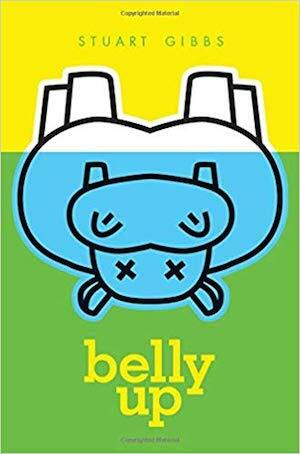 Belly Up is fast paced and imaginative, like none other we’ve ever read. Lots of fun zoo and wildlife facts are interwoven with plot details, so the book feels almost as educational as it is entertaining. The kids constantly begged for “one more chapter,” so we finished the story in short order. We’d have been sad for it to end so soon had Mom not discovered (and preemptively ordered) four more titles in the Fun Jungle series. So instead, we immediately began the next installment. This classic by Francis Shaeffer’s daughter has been around for decades. 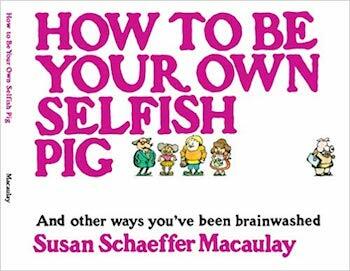 I remember reading How to Be Your Own Selfish Pig as a college student myself, and it was old even then. I finished re-reading it last month with my 13-year-old son, Daniel. He’s taking an apologetics course at our weekly homeschool co-op, and Macaulay’s book is part of the curriculum used for that class. It tackles the faulty foundations of atheistic and humanistic Worldviews so prevalent today. Our family loves the Benges’ missionary biographies. My husband bought the entire set at a homeschool convention a couple of years ago. I finished reading William Carey: Obliged to Go aloud to the children last month. Known as the father of the modern missionary movement, Carey met with a lot of opposition from church leaders of his time. They did not share his conviction that the Great Commission is still applicable today. Nor did they agree with Carey that Christians have a responsibility to take the gospel to people who have never heard it before. 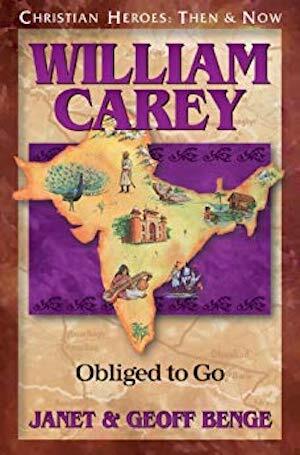 Yet Carey responded to God’s call and moved his family to India, overcoming countless obstacles to do so. There they lived and worked and saw the Lord move in mighty ways. Carey’s is a story of tenacity. A powerful testimony that demonstrates how God can use even hardship and tragedy to grow His kingdom. 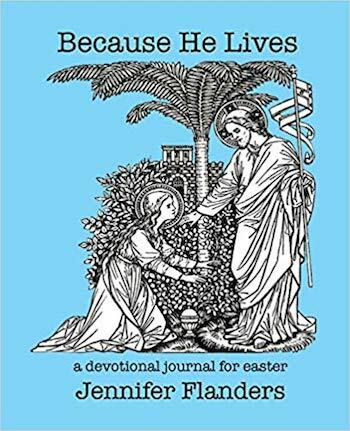 I’d read through the manuscript for Because He Lives, the latest in my line of devotional journal, several times before it was finally published last month. But now that I have a print copy, I’m going through it again. Slowly this time. Doing the word studies. Using the journaling prompts to jot down my thoughts. Looking up Scriptures. Painting in borders. Using my Prismacolor pencils on the beautiful vintage artwork. Although I designed this journal for Easter, it can be enjoyed all year long, as one reviewer rightly noted. It covers prophesies pertaining to Jesus’s birth, death and resurrection, miracles He performed during His earthly ministry, events of the passion week, His promises to His followers, and the work we should be doing as we await His return. « Mailbag: Should Christians Celebrate Lent? I love reading your book lists 🙂 I think my favorite way to celebrate Easter is going to the Easter service and then spending the day with family. My grandmas side of the family always gets together for a family reunion over Easter weekend. We went a lot when I was growing up and had so much fun! We haven’t been able to make it much now that I have my own family but hoping to one of these years. I’m glad you enjoy the book recommendations, Jamie. I have fond memories of many Easters spent at my grandparents’ house, too. I was a bit of a tomboy, though, and completely ruined a beautiful little organdy Easter dress one year (the first time I’d ever worn it) by climbing into a rose bush — thorns and all — to escape detection during a competitive game of hide and seek with my cousins. I have enjoyed making the empty tomb rolls with the marshmallow and crescent rolls. We do the devotion together about what each thing represents. As the rolls come out of the oven, I love to play the song Up from the Grave He Arose. We’ve made those rolls before, too, Delia. I love the idea of playing that wonderful old hymn while you’re eating them, though. May have to add that to our tradition this year, too.